It’s always nice when something we like gets a polished new edition. It could be a book being reprinted with a heap of author's notes, or a movie that gets a shiny DVD version filled to the brim with bloopers, deleted scenes and audio commentaries. Sometimes it can also be a game, released with extra goodies or key enhancements to the original production. Areo’s Casebook series was already a personal favorite, thanks to its gorgeous FMV and gripping noir stories, so I was even more excited to lay my hands on the brand new Special Edition of the first three episodes (plus the free Episode 0: The Case of the Missing Urn) now being released. As soon as I rejoined Detective James Burton in his investigations, I was naturally pleased to see that the dry humor and compelling plots are still firmly in place, but I was even more thrilled when I discovered that the promised enhancements indeed add a whole new layer to the experience, providing some much-needed additional challenge and adjusting the aim of two entire segments of the game, the Scientific Analysis and the Evidence Folder. One of the original issues I had with the games, especially the first and third episodes, was the repetitive nature of the scientific analysis – the segment where, after collecting clues from the crime scenes, the player has to process this evidence with the help of a forensics expert. This usually involved a series of pretty mindless mini-games which were repeated dozens of times during the course of a single investigation. In this edition, it’s clear the developers heeded such complaints. Most of the mini-games remain unchanged, and the fingerprint identification mini-game has only been slightly altered by adding a progress bar, but Areo has added two more types of "lab analysis" this time around. The new DNA test is more a matter of reflexes, as players only have to press a button when the right molecule is under the microscope. The other addition, however, involves luminous rays and a series of mirrors to rearrange and rotate to get the ray moving from the source to the receptor, which plays like a full-fledged puzzle of the kind many of us are so used to after years of adventuring. This mini-game, while still fairly simple, will now force you to think your way through the process, and it's undoubtedly more satisfying than the previous alternatives that simply required randomly clicking through the screen to get the result of each test. Then again, if you'd rather skip the thinking altogether, or find yourself stuck at a particularly overwhelming challenge, there's now the option to skip a mini-game entirely. The Evidence Folder has undergone an even bigger overhaul. When having to link two pieces of evidence together previously, the game automatically highlighted the pair of clues, rendering the whole process a bit superfluous. This is no longer the case, as now you’ll have to ponder like a real investigator to put each piece in its right place. It’s even possible to fail a link – not that failing one has any real consequence in the game, but like trying an impossible inventory combination, it's nice to have the option to make an incorrect guess, something that wasn't available before. More importantly, the game doesn't tell you anymore what clues need a link, so you have to listen carefully to what's said after the analysis and think about your other evidence. Is there anything that can be used to link a suspect to a particular crime scene? Is there a match for the traces of DNA you found on a brush or hair? Can you deduce what characters were present in a given room at a given time with the details you’ve discovered? The whole process is now more intriguing: trying to make connections between such things as places and footprints, chemicals and their criminal uses, now feels like real detective work. The result is that the investigations require a lot more creative thinking and thorough reasoning, the type you’d expect from Temperance Brennan or Seeley Booth. The only segment that has remained the same in the enhanced trilogy is the Exploration phase, and this still suffers from the same issues. Sometimes the objects to find are so small that they’re hard to identify, perhaps forcing you to use the Intuition Key to highlight them. But this opens up another surprise: the game now keeps tracks of your efforts, and after the investigation you will be ranked. While your score adds nothing to the outcome of the game itself, a perfectionist might want to avoid the Intuition Key at all, or use it only in moments of dire need. It's a nice little addition, though it’s somewhat wasted due to the sheer difficulty of the exploration. At least if you take your time to carefully scour every location, you will be rewarded by the sarcastic comments of Burton and your forensic helpers about the useless junk you photograph. The tongue-and-cheek humor is as amusing as ever, and I was surprised to stumble upon some pearls I somehow missed the first time around. I won't spoil them for you, but look for some juicy nods to classic adventures, including a hilarious cameo by a certain talkative skull. All in all, I can't help but recommend this Special Edition. 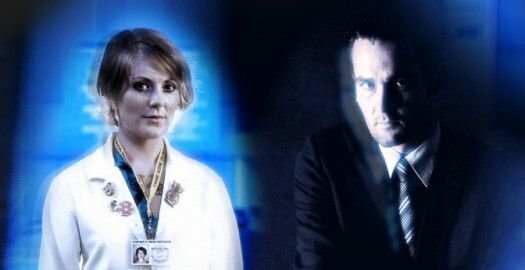 If you missed the Casebook games when they were originally released, you'll find a trilogy of engrossing mysteries enriched by a stunning FMV presentation (I haven't said anything about that, but you can read all about it any of our original reviews). If you played and enjoyed the original editions, chances are you'll dig this enhanced release even more, considering the improved challenge presented by the mini-games and the revamped Evidence Folder. It’s not free to upgrade for existing series customers, but it’s available for a heavily discounted price from the official website. And if boxed games are your thing, the trilogy will at last be getting a much-deserved full retail treatment in the coming months, though publishing details are still being finalized. With the first three episodes now better than ever, my anticipation for the fourth installment is now even greater. I can't wait to see what's in store next for Burton and his silent assistant: the cliffhanger ending of the third episode is bound the whet your appetite, and it's a testament to the quality of the characters and the plots that you can't help but want more as the closing credits roll. We’ll need to keep waiting for that, unfortunately, but more is exactly what’s in store right now, as to mark the occasion of today’s release of the Casebook Special Edition Trilogy, we’ve gone behind the scenes with Areo’s Creative Director Sam Clarkson for some insider insight about the past, present, and future of the series. I had never heard of this game before this article, so i was very excited to find there’s people making FMV games even now ! Love the Casebook series and i still have to buy the special edition. I wonder if they will replace the episodes with the edited ones..could be good for those who want to try one episode:) Anyways i’m buying the special edition and can’t wait for the new episode “in absentia”^^. Hm. Very interested, but when I go to the site of Areo Cinematic Games there’s no mention of a deal for previous customers. Furthermore the forums (where I would have looked for an answer) also seem to have disappeared? Anyone who can tell me where to look? I want the next episode! Please!